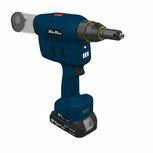 The battery-operated PowerRiv® Light blind rivet tool is setting new standards. It is universal and efficient and offers up to twice the setting speed in comparison to conventional battery-operated devices. Designed for sophisticated industrial use, this device unites the highest technical properties with a long service life and easy maintenance. 1 Pressure switch and mandrel container monitoring can be disabled, please contact us for further information. The pressure switch ensures that the blind rivet can only be processed if the pressing device is activated which prevents unintentional triggering and ensures that the components to be processed are on top of each other. The mandrel container monitoring system guarantees that system can only run if the collection tank is properly installed and no rivet mandrels can be ejected. 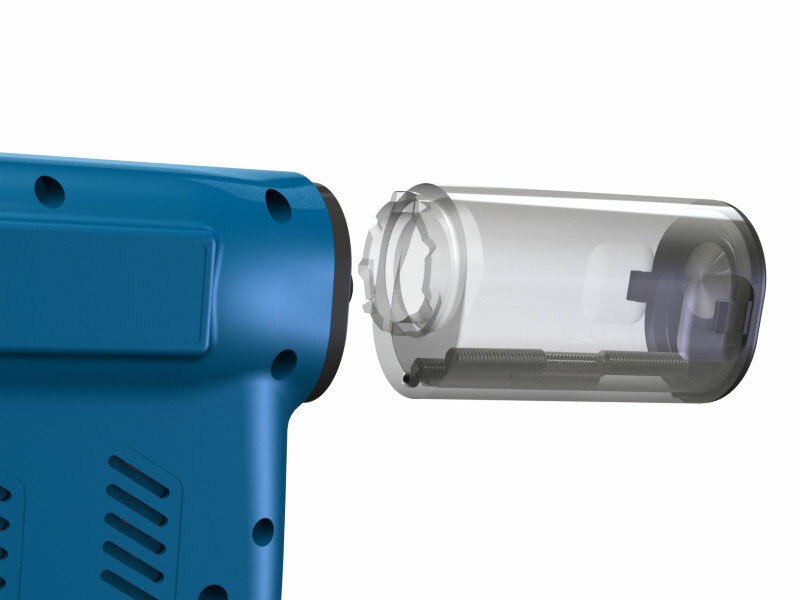 QuickRiv enables a fast processing of the blind rivets. The intelligent battery management guarantees that a setting process is only triggered if the battery has sufficent capacity to perform the task. The battery management guarantees a high cycle life span and offers effective protection against deep discharge of the Li-Ion battery. A significant advantage of the PowerRiv® series is that all tools starting from Light up to PRO-M version work with the same battery types of the HST-PR series (18 V). These batteries are also used in combination with screwdrivers. Allows a fast exchange of the chuck jaws and a fast cleaning of the system. Setting speed max. 35 mm / sec. max. 22 mm / sec. 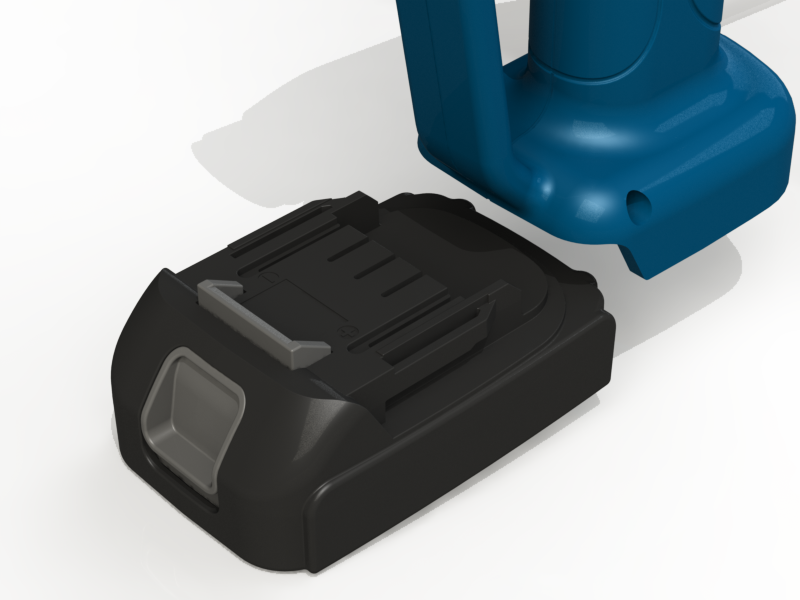 Delivery without nose assembly, nosepiece, battery and charger. 60, 85, 125 and 155 mm. 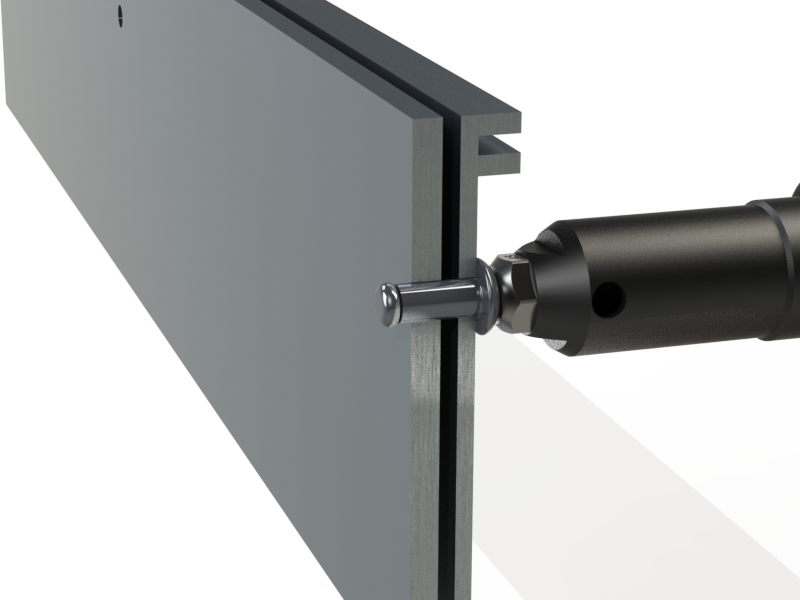 The new fast exchange system is compatible with all HS-Technik PowerRiv® blind rivet setting tools. 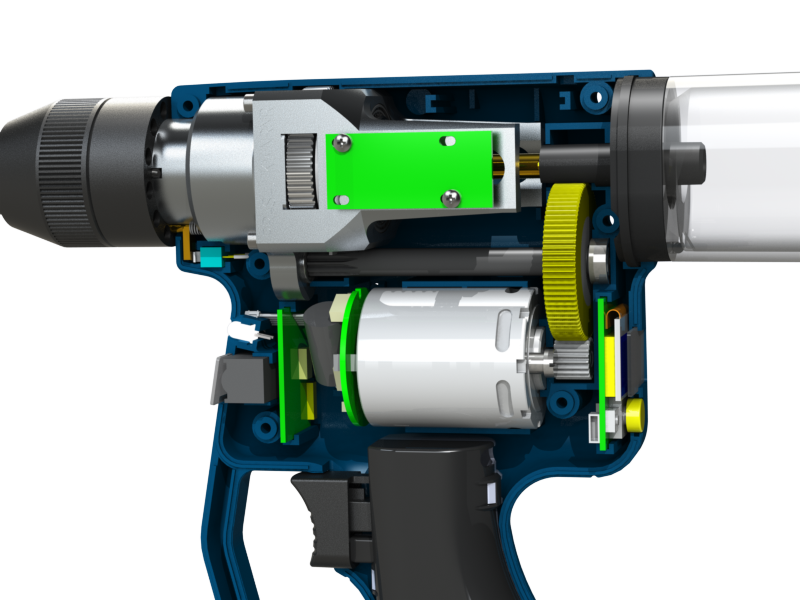 Thanks to its innovative design, the chuck jaws can be exchanged without any tools in just a few minutes or removed for cleaning. This saves part of the set-up and service costs. If the chuck housing is mounted correctly, it cannot loosen itself due to vibrations from the tool, another plus for the proper operation and quality of the blind rivets set. A compatible compression bushing for each extension of a blind rivet setting tool is available. The compression bushing reduces the shaft diameter to prevent that blind rivets with a mandrel diameter of less 3.2 mm jam the tools regular bushing. The patented system of security nosepieces is optimally suited for vertical riveting or for difficult to reach places since the rivet is held in the nosepiece. The mandrel cannot fall into the workpiece after the rivet setting process. The security nosepiece holds the mandrel tight and secures the work- piece against damage and soiling. This way you can set rivets with just one hand and guarantee occupational safety. Standard nosepieces are the cost efficient alternative towards security nosepieces. Even though they do not have the same advantages e.g. preventing mandrels of falling out of the nosepiece. Delivery without pulling unit, nosepiece, battery and charger.